Hurricane Iniki devastated the Island of Kauai on September 11, 1992. The Hawaii National Guard responded with a activation to support the people of Kauai. 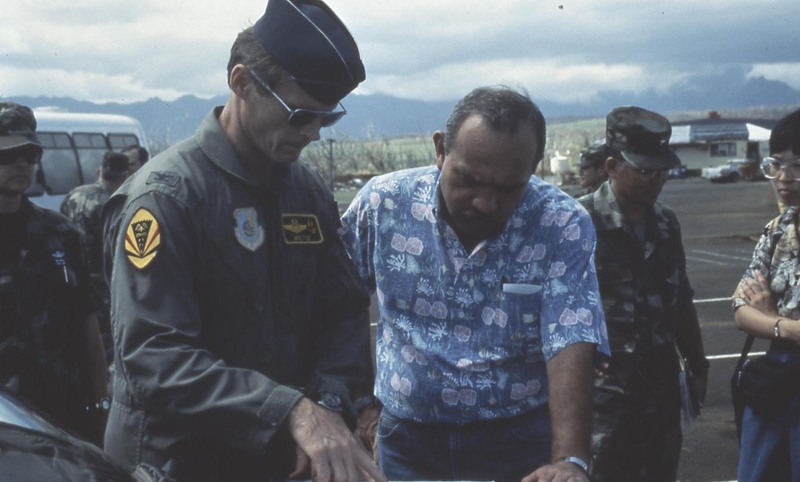 This photograph shows then-Col Michael “Boss” Tice briefing Governor John Waihee at the Kauai Airport on the recovery operations.